… I know that pumpkins are the king of vegetables at halloween but as far as i’m concerned beetroot is the secret star of the spooky holiday… I was thinking about all the fun halloween baking that i’ll be doing later in the month and I thought that perhaps I ought to make something that was a little on the healthier side but still has that creepy feeling to it and beetroot is just perfect. One chop into its hardened flesh reveals an outpouring of blood-red juice that stains the hands in a way that would make Lady Macbeth think twice. This brilliant vegetable is incredibly healthy for your heart and is incredibly versatile working well in both savoury and sweet dishes. It’s earthiness cuts through rich stews such as this chicken thigh and beetroot roast whilst it’s texture and depth of flavour combines beautifully in this lush beetroot and dark chocolate brownie. 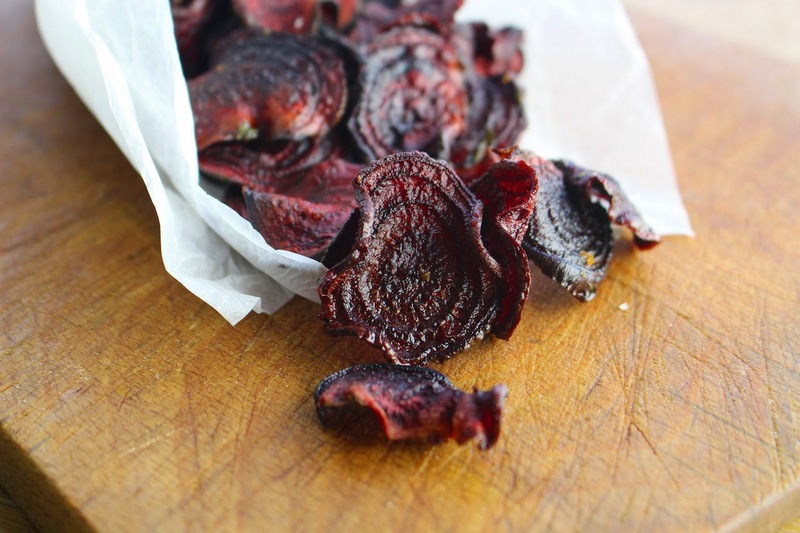 I love roasting it like a potato with balsamic vinegar and olive oil as the earthy flavour seems to intensify and these beetroot crisps have that wonderful quality to them, plus they look so darkly evil, how could you not love them? O’live is a new, quality organic fresh produce brand currently available in Whole Foods market stores. With a specific focus on organic salad vegetables, O’live grows and selects only the finest produce, ensuring it brings us lot truly the best of organic… and yes, it can be an expensive playground but if you’re going to spoil yourself once in a while let’s make it taste amazing shall we? The current range comprises five products; celery, fresh beetroot, cos lettuce, little gem lettuce and spring onions, all of which feature minimal packaging (my big bug bear) which helps further minimise the brand’s impact on the environment… I was sent the range to try and review last week and I have to admit it all went very quickly. We eat a lot of salad during the week and so much of it can be so bland and dull so it is nice to treat yourself once in a while… the beetroot was set aside for my crisps which The Viking and I munched whilst watching our favourite horror flick 28 Days Later, just for practice for the big day at the end of the month! Delicious! Absolutely love beetroot crisps, always amazes me how easy they are to make as well. Thanks Jane… the oil spray is perfect for this kind of thing! so easy… was very pleased. I love beetroot crisps! 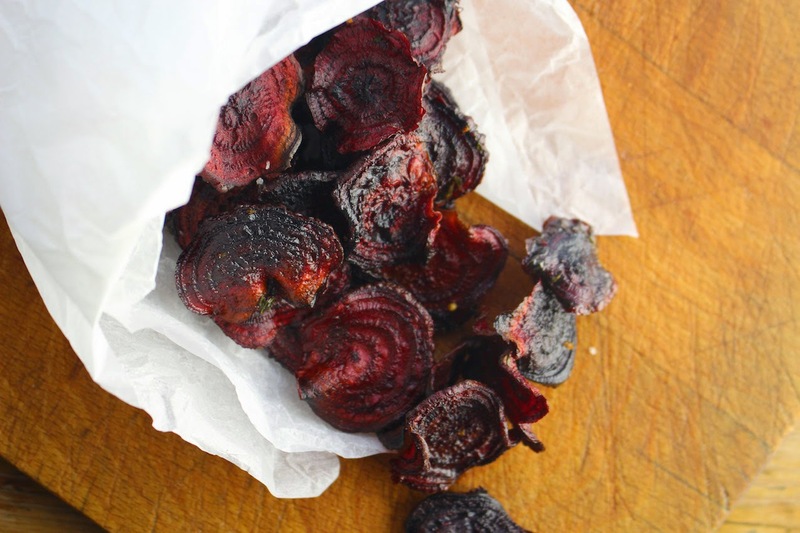 I often make beetroot, parsnip and carrot crisps and oven bake them! Your beety crisps look wonderful! Thanks Karen. They are fun to make. I'll try other veg next time! Awesome. These look amazing. Thanks for sharing this great recipe.